At Cash for Cars VIC, we provide Free Towing Melbourne wide that would like to sell their cars & trucks to us. Get up to $9999 cash and eliminate all the hassles associated with selling a car. Sedan, Truck, SUV, Luxury… We’ll tow it for free! 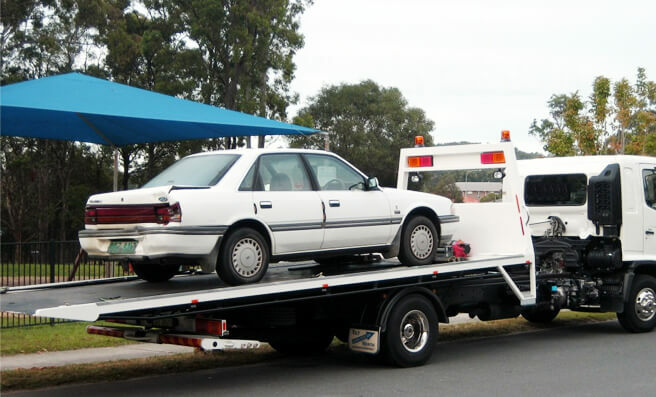 Cash for Cars VIC provides courtesy Towing for wrecked, scrap, damaged, old, and even used cars & trucks. When the car is unwanted because it no longer runs, or the repairs are too costly to make, we’ll come to the location of the owners and remove it for free. We tow all makes & conditions of cars & trucks from running to not running. We schedule our courtesy towing at times that are convenient for the car owners. How To Get Free Towing Melbourne wide From Cash For Cars VIC? To schedule Free Towing Melbourne wide for your unwanted car or truck, it is necessary first to get a quote that you accept. Call us or fill out our “Get a Quote” form with the make, model, year, and condition of your car or truck so that we can make you a cash quote. Accept or reject our offer or tell the appraiser that you would like to think the quote over for a few days. Schedule a free removal. At the time that we schedule the towing pickup, we will be fully prepared to buy the car or truck and put our cash offer for the car into your hand. Our removals are designed to take the least amount of time and eliminating all stress. At Cash For Cars VIC, we are the removal company in town that will provide you Free Towing Melbourne wide with just a call. Free Towing Melbourne wide – Get your car or truck towed at absolutely no cost. Our free towing is a courtesy service provided to all Melbourne car & truck owners selling their trucks to Cash for Cars VIC. Instant Cash Payments – Our customers don’t have to wait to be counting up to $9,999 cash. We make our payments on the spot when we come to their location to remove and tow their cars & trucks to our yard. Free Wrecking & Recycling – We are the company in Melbourne that wrecks and recycles cars and trucks, never charging our customers. When you choose Cash for Cars VIC, you choose a top car removal company for the sale of your car or truck that puts top cash into your hands. We are an established car buyer that also wrecks and recycles cars of all makes & condition. We are a removal company that has years of experience in the industry, and one that cares about the services we provide. We understand that car owner that is ready to sell their cars want to deal with a company that is fair and honest, and that is what we offer. We are a removal company that makes top dollar quotes for cars of all makes & conditions and provides exceptional services. To obtain an instant cash quote for your car or truck for sale, and to schedule Free Towing Melbourne wide, give Cash for Cars VIC a call at the number below. If you would prefer to obtain a quote online fill out our “Get a Quote” form at the top right of this page.